Absolute Gold 24K Rose Petal & Gold Petal Hydration Facial Toners. For all skin types. Pack of 2. 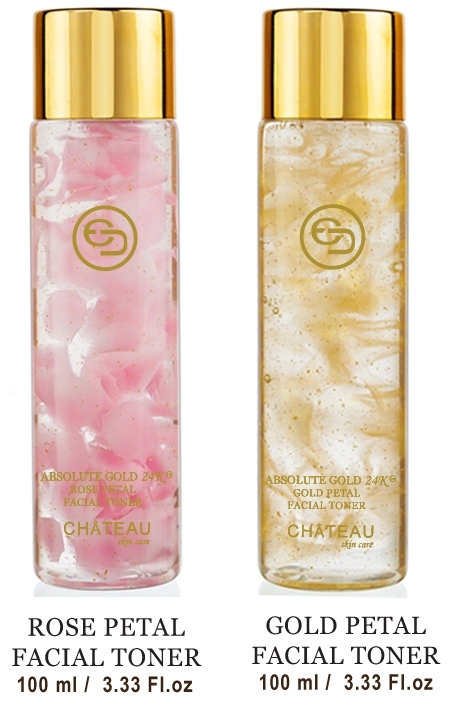 Absolute Gold 24K Rose Petal Hydration Facial Toner is an ultra-fine hydrating toner, suitable for all skin types, infused with 24 Karat Gold and a unique collagen complex. 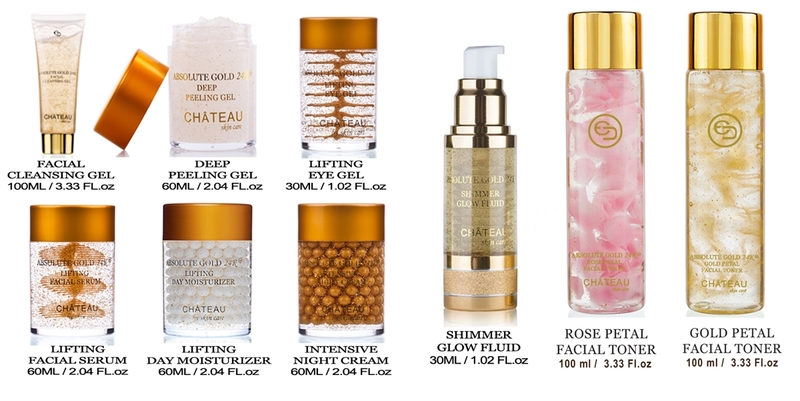 Rich in seaweed extract, it replenishes skin while leaving a hydrated and healthy finish. 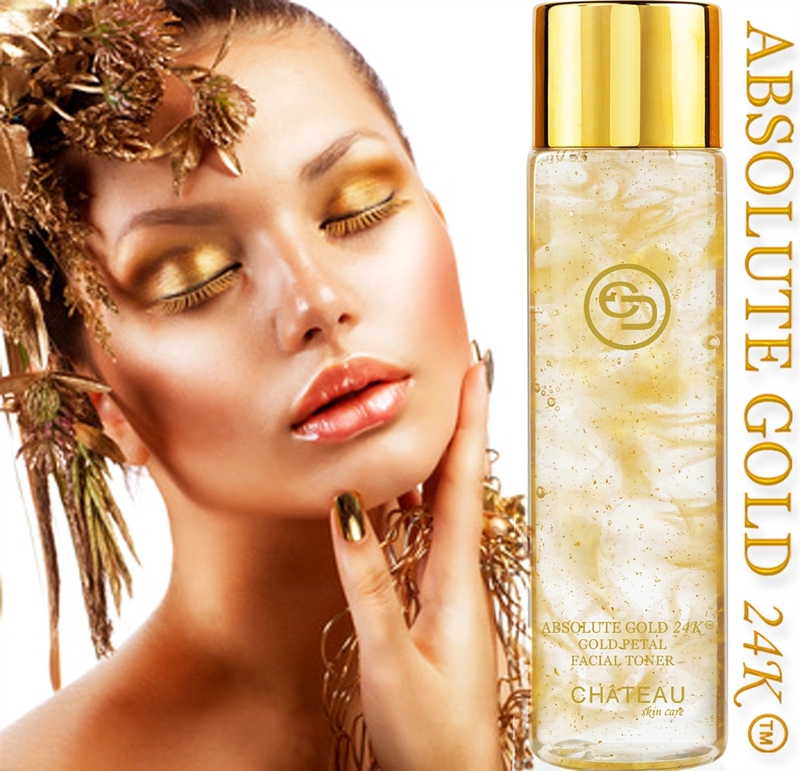 Absolute 24K Gold Petal Hydration Facial Toner replenishes lost moisture, refreshes and promotes healthy looking skin, leaving skin feeling firmer and looking more vibrant. 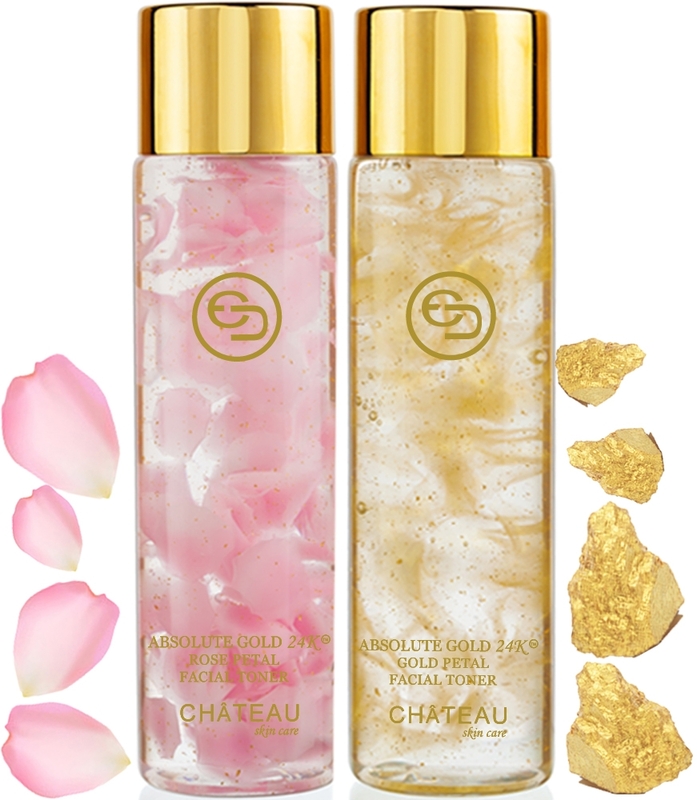 Infused with 24 Karat Gold, collagen, and potent antioxidants that nourish depleted skin making it more radiance and balanced. Distilled Water, Glycerine, Butylene Glycol, Lubarjel, Collagen, Seaweed extract, Ginseng Extract, Lactose, Microcrystalline cellulose, Sucrose, Yellow CI77492, Hydroxypropyl Methyl cellulose, Carbomer, Triathenolamine, Methyl P-hydroxybenzonate, 24k gold.